Rags-to-riches startup stories are ten a penny, and every founder dreams of achieving the growth of today’s gazillionaire star entrepreneurs. Every one of these rags to riches stories I read follows the same vague, unhelpful script: “We started with nothing and encountered lots of difficulties, but with a great idea, some brains and lots of moxy we won out in the end”. These are examples of the power of the narrative an important tool we use to understand the world around us. We construct narratives to comfort ourselves; to make us believe we’ll make it someday. This glosses over the tangible advice that successful founders should be giving. If you’re looking to grow your business and get customers, you need concrete sales and marketing advice. Leveraging a customer’s narrative is a must when you’re pitching your product, but when it comes to growth tips we need cold hard facts (not polished sales pitches). Eoghan: You mentioned to other sites that you observed the behaviour of other startups on Kickstarter and the Kickstarter operation itself to get an idea of best practices in crowdfunding. Could you explain what lessons you learned from this and how you applied them to Lockitron? Cameron: We looked very closely at what other crowdfunded projects with technology products had done on Kickstarter, both to understand the success stories like the Pebble watch as well as why certain projects failed or only barely met their goal. Besides reaching out directly to the folks behind these successful projects, we began to categorize them based on the strength of their Kickstarter page – how long was their video, was it professionally made, how many photos did they include, what points about the products did they talk about. We quickly learned that there were several things great Kickstarter pages have in common: they have a strong narrative selling the benefits of the product (rather than the technical features); their videos are upbeat, concise and organized in a logical fashion; and the overall project presents a strong emotional appeal. Conversely, we noted that their videos were not necessarily professionally made. 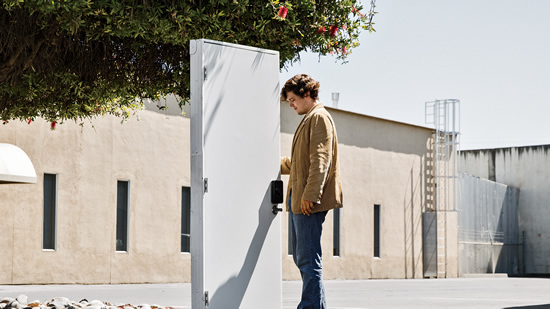 E: How did you achieve the phenomenal growth of Lockitron? A great idea goes a long way, but getting your message out to hundreds of thousands of people in 5 days is quite a promotional effort. You open-sourced the Selfstarter code so any startup can use it; what practical tips do you have for these startups that may be considering selfstarting? C: We’re no PR experts. We reached out a number of outlets, however, none of them were interested with the story except for TechCrunch. We launched with TechCrunch and our social channels and that was about it. But there were a number of things that went incredibly well. After our first launch of the original Lockitron in 2011, we knew that hosting your video on YouTube was critical because of their community. Our video was picked up by sites like Reddit and 9GAG which help to propel it to over 2.7 million views in a matter of days. 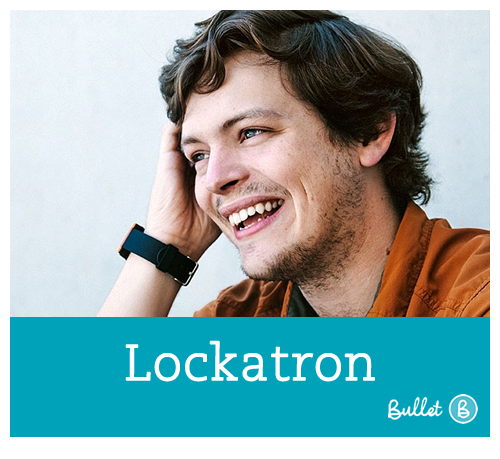 We also managed to foster a tremendous amount of social traffic by giving every one who reserved Lockitron a “backer number” which they could easily Tweet, giving folks a sense of ownership in the broader Lockitron launch. I would recommend that folks who are considering launching a Selfstarter carefully weigh all of their options with regards to traditional crowdfunding platforms like Kickstarter and IndieGoGo vs. doing it on their own. We’ve had to build quite a few tools on the fly to compensate for not having the weight of a mature platform behind us, however, at the end of the day we have been able to tailor the crowdfunding experience exactly the way we want to. E. On that note, to what extent did you rely on traffic from social networks? For example, did you start out with your personal networks from work and college and move from there? Did you target key influencers, and if so were they personal or press contacts or both? 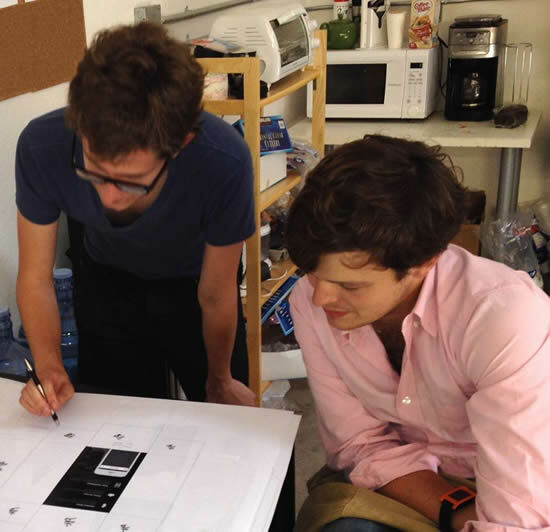 C: Apart from our backer number trick, we didn’t reach out to many key influencers. There are a few folks with a large number of followers who we certainly put on notice before our launch, however, I believe getting hundreds of everyday folks tweeting about their Lockitron was more important than one person with a massive Twitter following. We certainly pushed hard on our own personal networks between Facebook and Twitter, however, we didn’t send out a mass mailing. E: Over the course of those first 5 days could you see what was driving traffic to your site? Things must have caught on at quite a pace, but what publicity/promotion did you see making a big impact? Conversely, what things did you expect to get a bump from but didn’t? Getting Techcrunched would provide an obvious spike, but what else got the word out there? C: While our initial launch went incredibly well, it was very challenging for us to keep the traffic coming as one might expect with a Kickstarter. The initial traffic was pretty well split between social media and the blogosphere. We still managed to gain a large number of backers through the end of the campaign, however, we didn’t have the tools we needed to send out mass email updates to our backers from day one. We had an update near the end of our campaign which was far too little, too late. Although we were announcing some incredible things – like controlling Lockitron from your Pebble smart watch – none of the press caught on. E:. A lot of founders understate their marketing savvy, and some startups looking to selfstart may lack in marketing skills. How good a marketer did you need to be? Or was it all thanks to the product? C: I certainly would not qualify us as great marketers, however, we understand that we need to convey just enough information about the benefits of Lockitron without boring folks with technical details to garner the interest of everyday people. In my mind, “product” is the embodiment of your narrative for how people will benefit from the thing you are giving them, not an assembly of plastic or metal. Good marketing is telling that narrative as concisely as possible. For instance, I could accurately describe Lockitron as a device with Bluetooth, WiFi and 4AA batteries that turns door locks, however, that tells you nothing about why you should have a Lockitron. Rather, if I explain that Lockitron will save you time because you no longer need to leave work to let someone into your home, you instantly understand what why you might buy a Lockitron. At the end of the day this means that the narrative of your product needs to stand on its own two feet. Any great product serves a purpose, delights users and delivers on expectations. That’s exactly what we’re trying to do with Lockitron. When crowd-funding (or marketing in general), research what has worked for others. Cam & Co. figured out that successful Kickstarter videos (concise, emotive call-to-action videos focussed on user problems, not necessarily professionally made) make all the difference. Getting exposure is hard. Getting TechCrunched got them a huge amount of traffic, but other media outlets weren’t interested. While their product wasn’t viral (and most products aren’t) they leveraged sites like Reddit and Youtube with clever ploys (like their “backer number” system). Drive down your customer acquisition cost as much as possible, but anticipate to need to try many channels (and get creative). Re: social media, Lockitron succeeded without plugs from “influencers”, the guys just went for an organic social media strategy. And it worked. Traffic is fickle, so be prepared to jump on it when it comes. 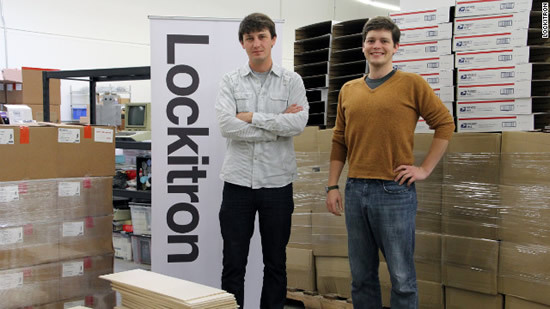 The Lockitron founders felt they could have engaged interested users a bit better if they had been more prepared. Sell the customer what they want, not what you think they want. Product/market fit all comes down to being strategic with your feature set and message. 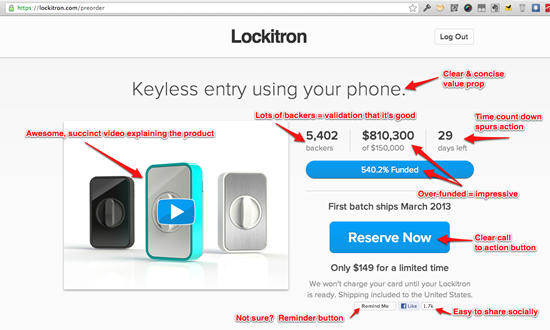 The Lockitron video is a masterclass of a sales pitch (and done on a budget, too). The guys are experts in weaving their product into their customer’s lives, and they understand the power of narrative we mentioned earlier. I don’t think anyone could watch that video without feeling the urge to give the product a try! Growthhacking has become a bit of a buzzword these days, but there’s a lot of marketing wisdom out there if you ask the right people and avoid the BSers. 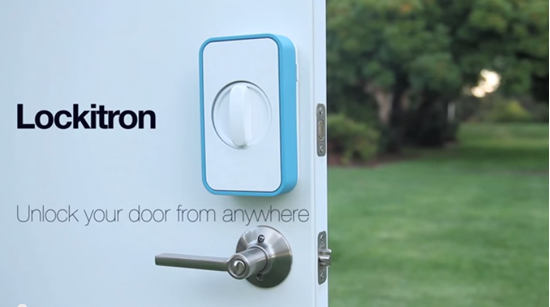 If you’re half as smart as the Lockitron guys you’ll have the first gazillion in the bank in no time.